Here is the press release for the Coralsnake diecast car. Fame maybe? Fortune? I am still looking for that. Only three cars were painted this color at the factory. I must say, ACME did an awesome job on the Coralsnake WT 5185 model. They got a lot of things correct! 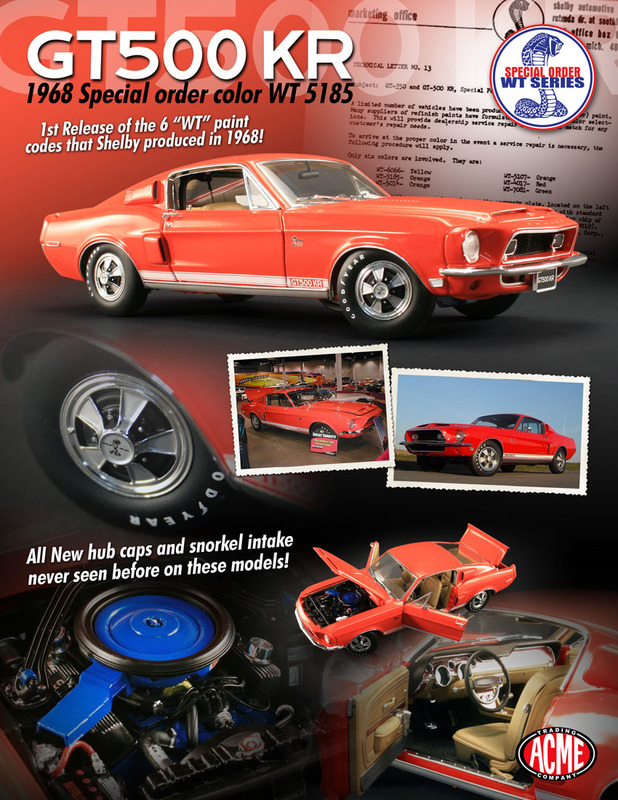 I understand this one of the first 1968 Shelby models with the correct hubcaps! The Coralsnake was one of the first concours Gold cars shown with hubcaps! Here is the next car in the series. 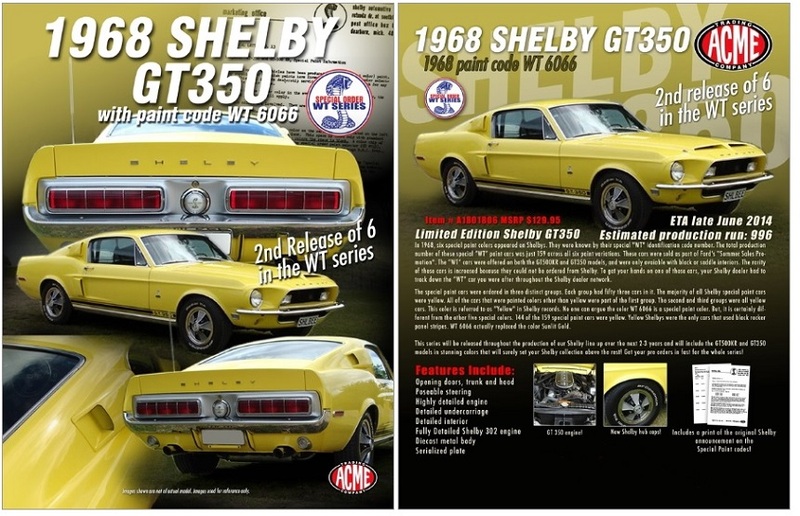 Only eight GT350 fastbacks were painted WT 6066 / Special Yellow. 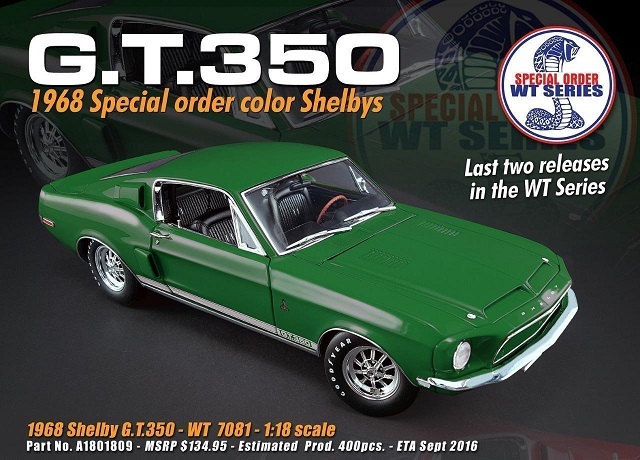 The third release was the WT 5014 special paint GT 500 KR. 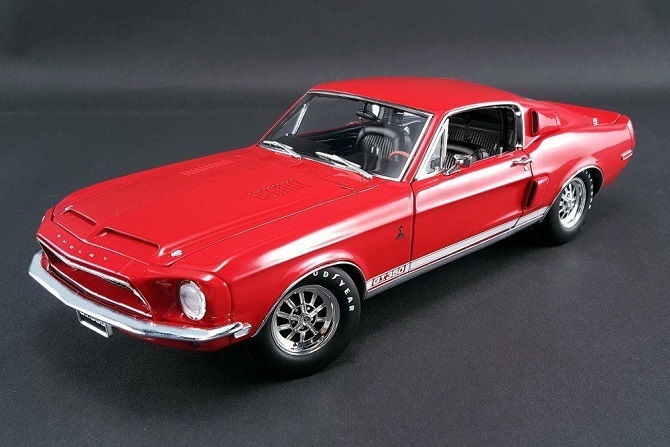 Only one GT 500 KR is known to have been painted this color. 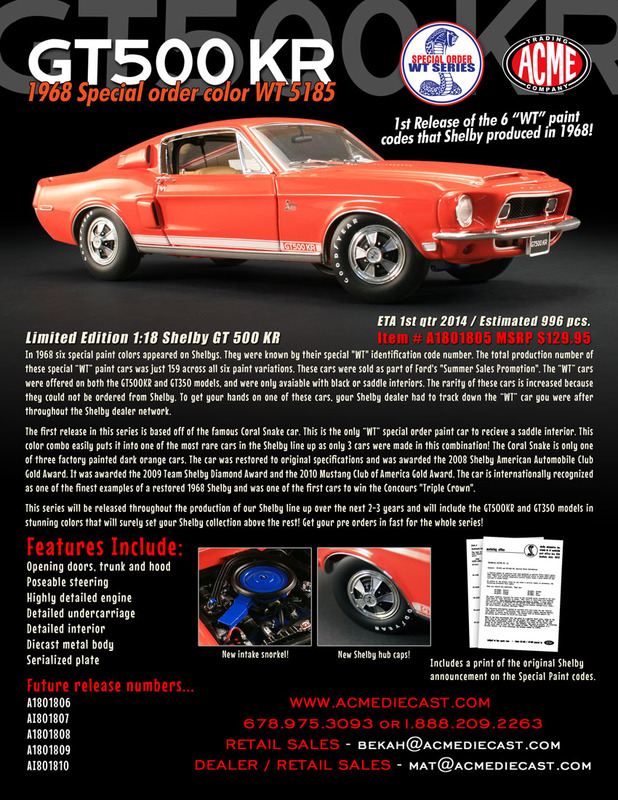 The factory records show only two 1968 Shelbys in this color! 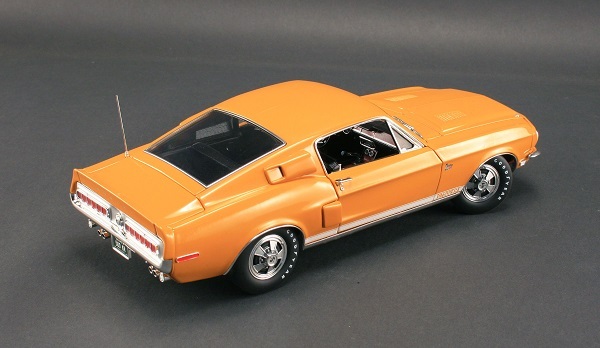 The color would later be called "Grabber Orange"
The special Green Shelby turned out great! It's amazing the factory let these cars slip through production at all. The fifth and last special paint model was the special red. I was hoping we would get all six special paint colors, but five will have to do. Acme did not build the last special orange car in the series. 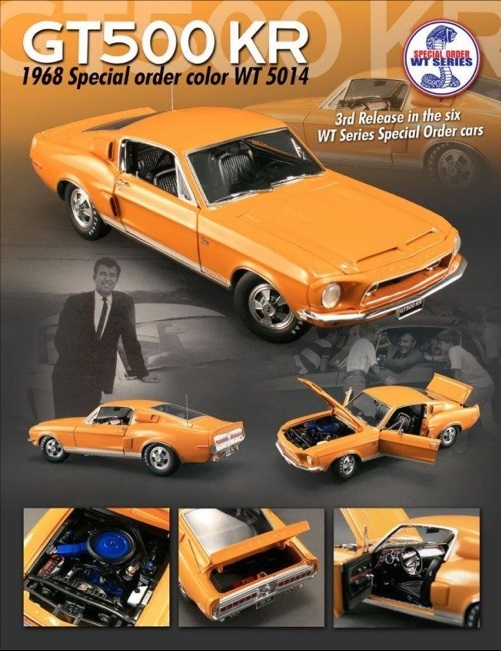 It would have been the color known as "WT 5107".